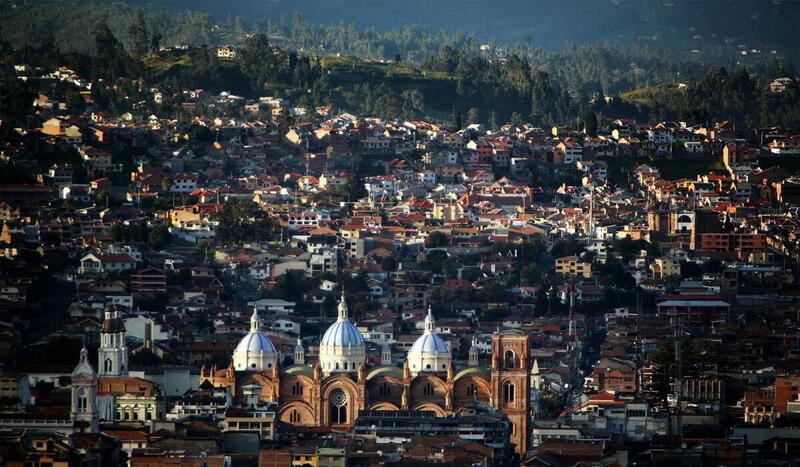 Cuenca is beautiful laid-back colonial city in the South of the Ecuadorian Andes. We love it for its sophisticated artsy scene, as well as its rich history and yummy food spots. 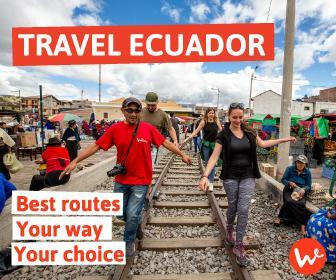 It is the third largest city in Ecuador and known for the four rivers that cross it. Cuenca is full of expats who have chosen to relocate here due to the beauty and ease of the place, without sacrificing all the comfort of a modern city. We recommend spending at least 2 full days here to be able to see this beautiful city at its fullest, including some day excursions like the Ingapirca ruins. Pre-Columbian civilizations, the Incas, and Spanish colonizers are amongst the many populations that have inhabited Cuenca. Each has left their mark, making Cuenca a UNESCO world heritage site. One of the best ways to navigate through this cultural richness is to take a walk around some of the landmarks in the historic center. You’ll find a church on every corner, as well as museums such as ‘Museo de culturas aborígenes’, or ‘Museo Pumapungo’. Our favourite thing to do is find a little cafe where we watch the city slowly wake up and get moving. The markets are the heart of Cuenca, where vendors, farmers, and locals come together. The colourful food markets are worth a visit just to see the huge diversity in fruit and vegetables here. Try one of the crazy juices at the stands, such as ‘bring me back to life’ despite tasting amazing, this has raw egg, avocado in it. The beautiful crafts markets showcase hand woven scarves, Panama hats, and hand painted ceramics. One of the most famous ceramicists, Eduardo Vega, has a workshop you can visit and see how the pieces are made. 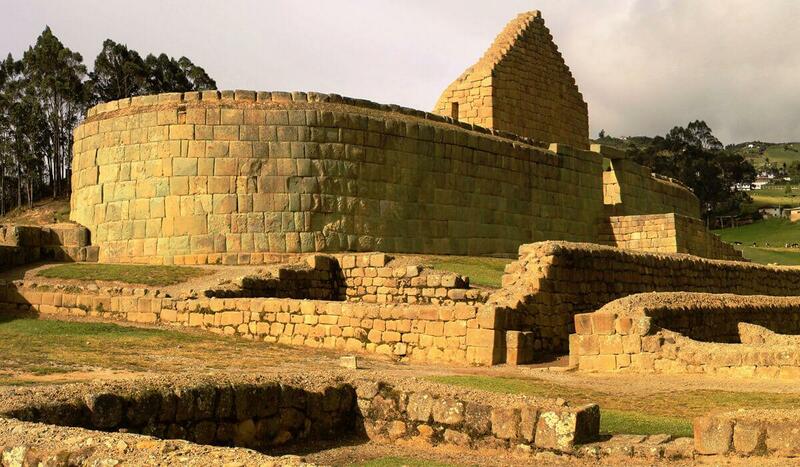 The largest Incan ruins in Ecuador are located just to north of Cuenca, in the province of Cañar. They are definitely worth a visit as the location is as spectacular as the ruins themselves. The site is made up of several buildings including a sun temple, with the most perfectly carved stones laid out in line with the sun’s trajectory. There is also a museum you can visit explaining the history of the ruins and their use. The ruins are accessible by bus, but you can also book a day trip with an operator in Cuenca. Cajas National Park is one of the most stunning areas of natural beauty in Ecuador. At a high altitude, Cajas is the best place to experience paramo landscapes, lakes and lagoons perched between steep rock faces. 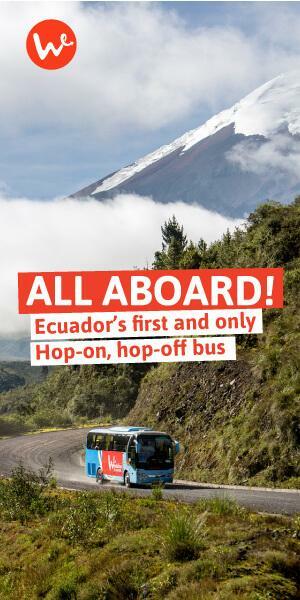 It is also home to some of the rare animals of the paramo such as Condors or the Ecuadorian Hillstar, a hummingbird that goes into hibernation every night to survive in the cold. If you get here early, a day is enough to do some good hiking in time to get back to Cuenca in the evening. There is the option of camping but you’ll need decent equipment as it gets really cold at nights. The hot springs in a nearby town called Baños (no not that Baños) about 20 minutes outside of Cuenca are a great way to take a day off and relax. For $10 you can spend the day in a spa, with swimming pools and hot pools. Cuenca has really artsy scene so you can find lots of cool bars with live music, breweries and even a couple of jazz spots! If this isn’t so much your style, there are plenty of karaokes and little clubs playing reggaeton or salsa. Check out la Zona Roja or Calle Larga for the liveliest areas at weekends.